Occasionally our suppliers send us photos from the factory floor of our designs in process. 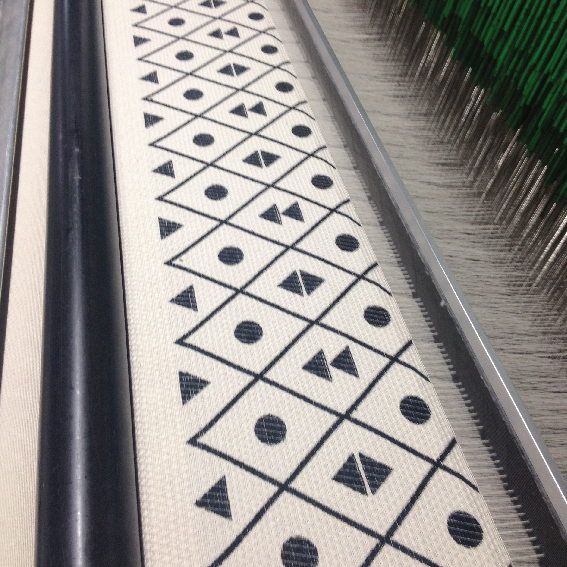 It's especially cool seeing things on the loom, mid-weave. Here's our stunning Pinasse Bedspread, just as the border is being woven into being.